Face it – Kids today are totally different. It’s becoming harder and harder to boost your street cred these days with all the tall-tee and long jersey wearing kids on the hill. The solution is here, the Thuggie. One of the most comfortable and ridiculously hilarious things we have seen in awhile. Thuggies are the brainchild of Bryan Pudney and his Why Not Apparel company based out of Vancouver, British Columbia. Originally, Pudney and his friends created a few Thuggies to poke fun at and mock all the people clad in the ridiculously oversized t-shirts, hoodies and jackets. 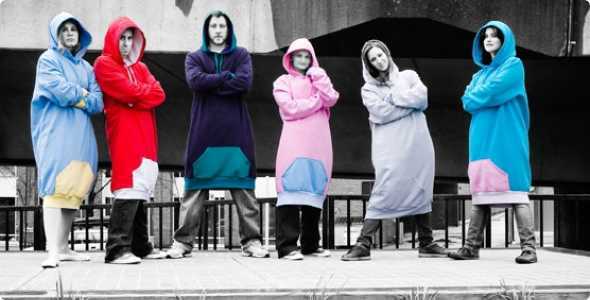 Little did they know that they were wearing their next business venture – the Thuggie was born. We were skeptics the first time we pulled the Thuggie out of its package. It made us laugh, ask questions such as, is this a joke? Who in the hell would even create such a ridiculous outfit? All of these questions were soon answered once the Thuggie is put on. 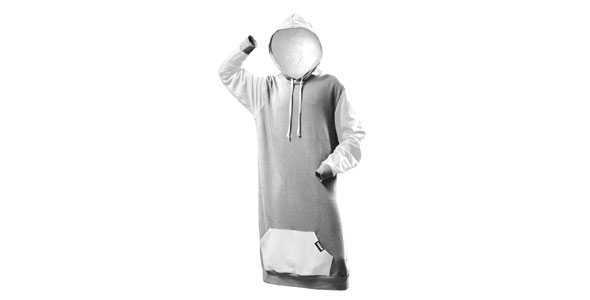 The only way to describe the Thuggie is picture a gigantic tall hooded sweatshirt. Sweatshirt-like material creates a soft, yet durable garment to wear. 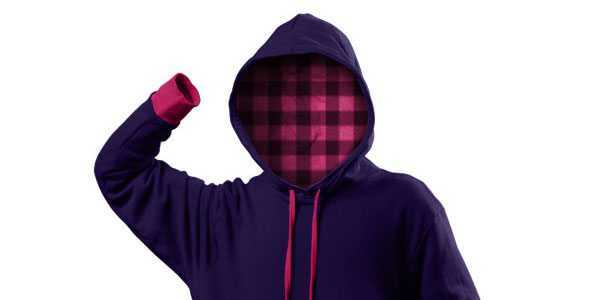 As Thuggie puts it, ‘Unlike other semi-ironic leisure apparel, the Thuggie equips the wearer with a sense of security, satisfaction, extreme comfort and a gentle sense of smugness.’ We’re still waiting for that sense of security to set in. When it does, we will let you know. Don’t think that this is a one size fits all mentality. 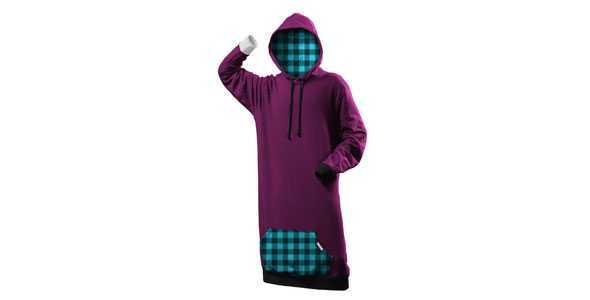 Nope, the Thuggie is available in a variety of sizes, depending on your thug size. 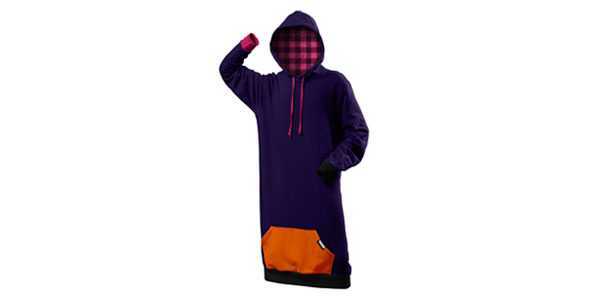 Aside from instant street cred amongst the young guns, the Thuggie is super comfy apparel that will keep you warm and keep your friends entertained. Durable sweatshirt material washes up good with minimal shrink and good color last. 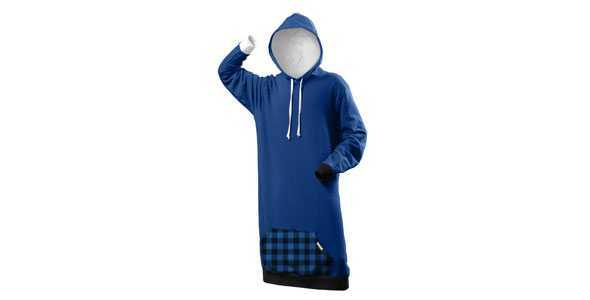 Don’t forget the big hood and handy pocket. 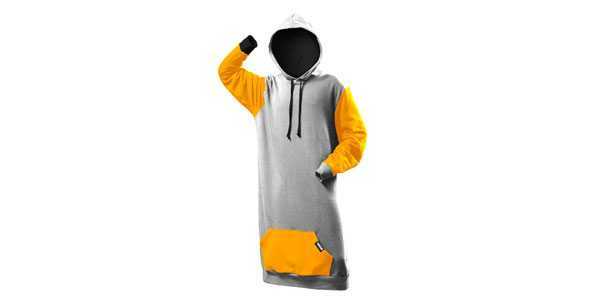 It closely resembles that idiotic leisure apparel – Snuggie.